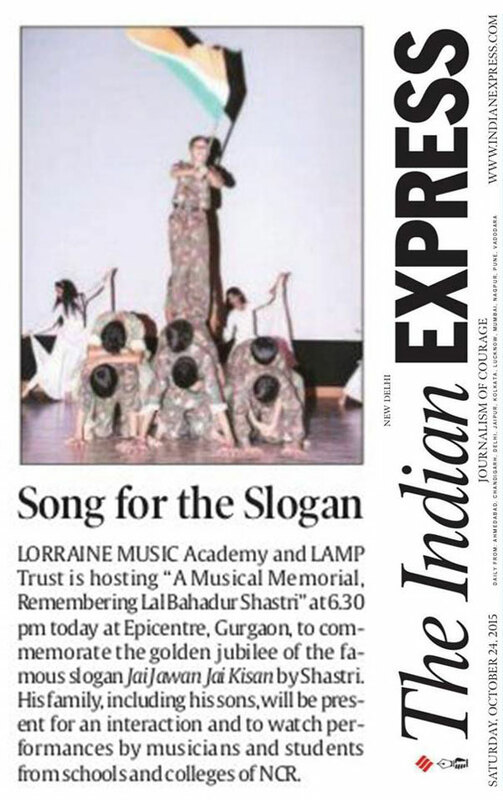 Lorraine Music Academy and LAMP Trust is hosting “A Musical Memorial, Remembering Lal Bahadur Shastri” at 6.30 pm today at Epicentre, Gurgaon, to commemorate the golden jubilee of the famous slogan JAI JAWAN JAI KISAN by Shastri. His family, including his sons, will be present for an interaction and to watch performances by musicians and students from schools and colleges of NCR. 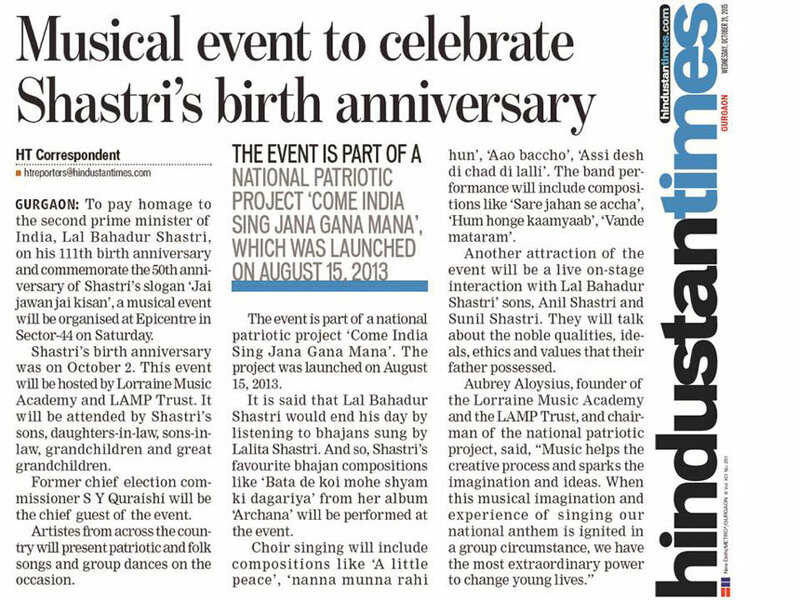 To pay homage to the second Prime Minister of India, Lal Bahadur Shastri, on his 111th birth anniversary and commemorate the 50th anniversary of Shastri’s slogan “Jai jawan jai kisan”, a musical event will be organised at Epicentre in Sector-44 on Saturday. 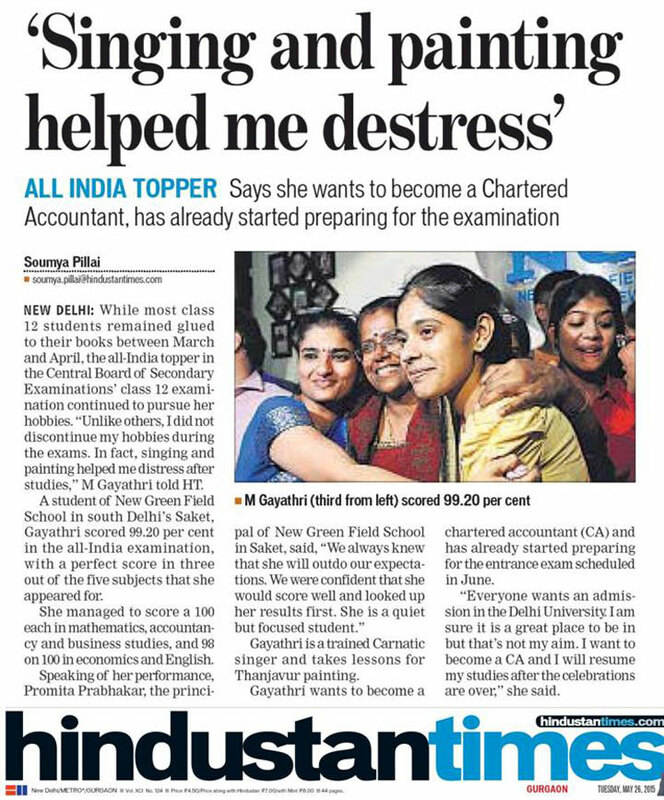 While most class 12 students remained glued to their books between March and April, the all-india topper in the Central Board of Secondary Examinations’ class 12 examination continued to pursue her hobbies. “Unlike others, I did not discontinue my hobbies during the exams. 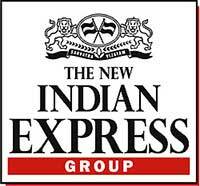 In fact singing and painting helped me distress after studies,” M Gayathri told HT. 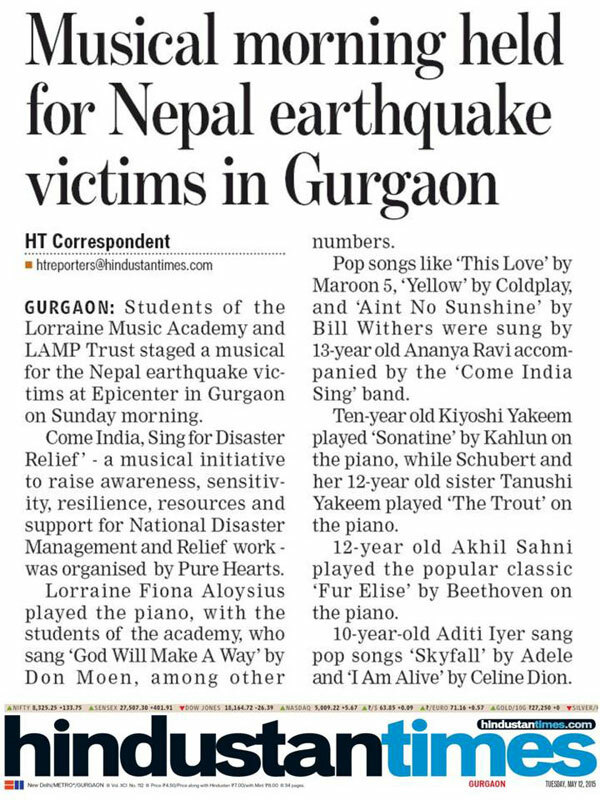 Students of the Lorraine Music Academy & the LAMP Trust staged a musical for the Nepal earthquake victims at Epicenter in Gurgaon on Sunday morning. 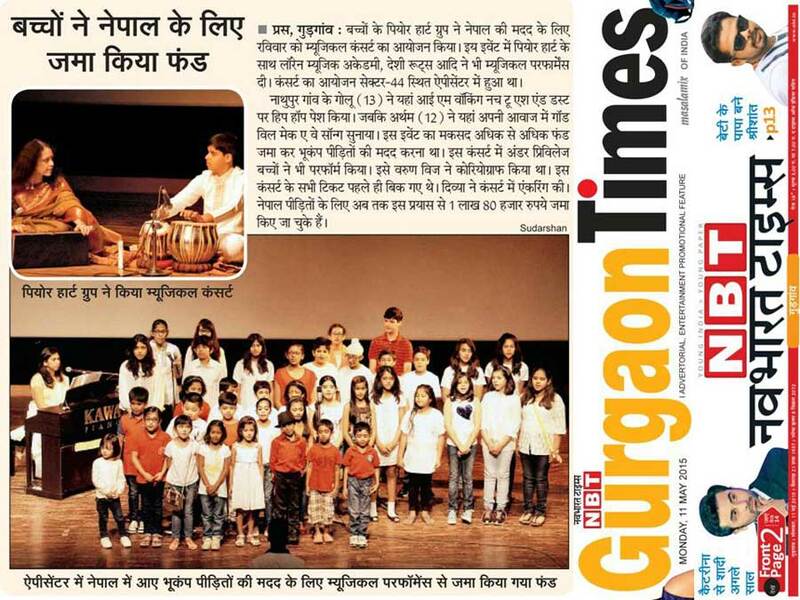 “Come India Sing For Disaster Relief” – a musical initiative to raise awareness, sensitivity, resilience, resources and support for National Disaster Management & Relief work – was organised by Pure Hearts. 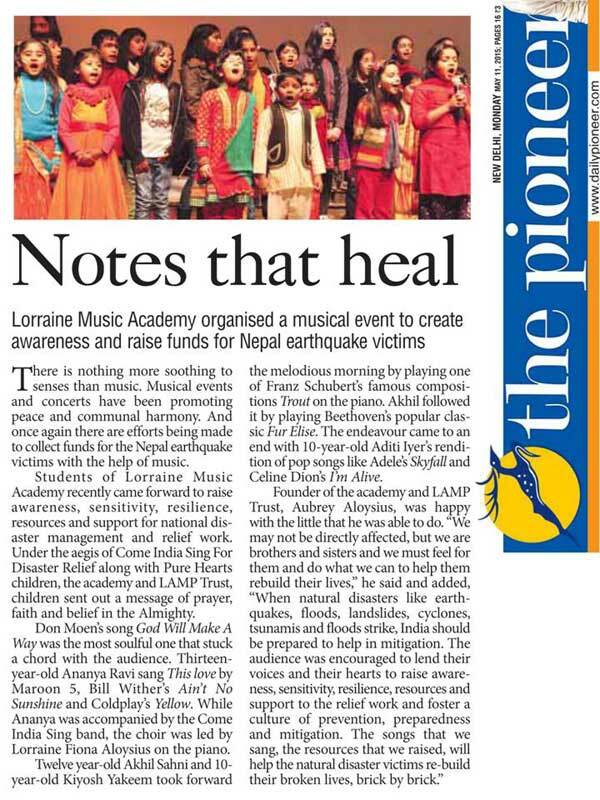 Lorraine Music Academy organised a musical event to create awareness and raise funds for Nepal earthquake victims. There is nothing more soothing to senses than music. 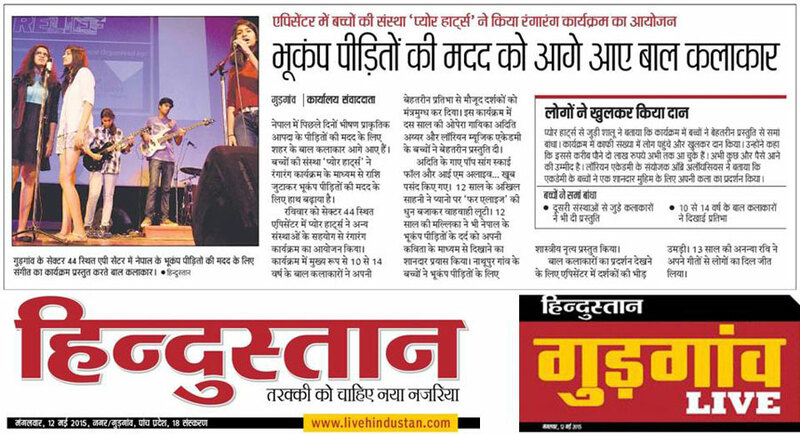 Musical events and concerts have been promoting peace and communal harmony. 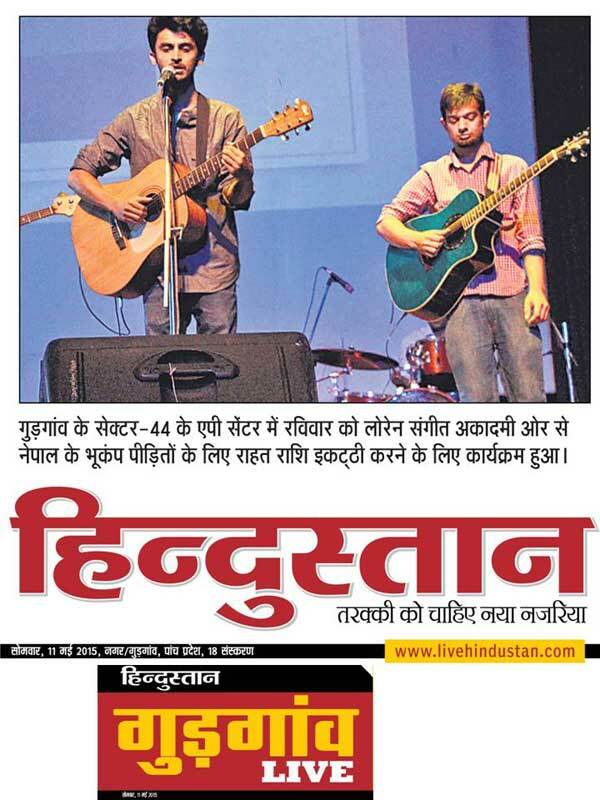 And once again there are efforts being made to collect funds for the Nepal earthquake victims with the help of music. 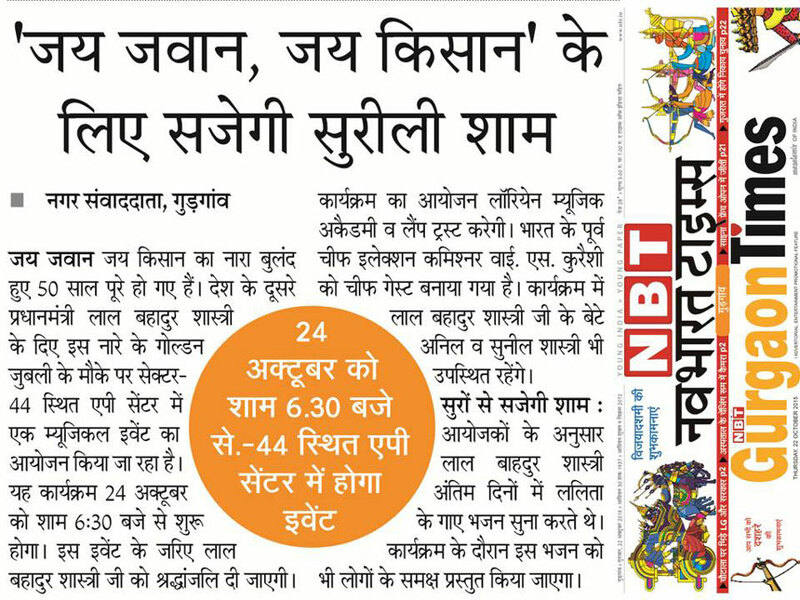 Gurgaon ke sector-44 ke Epicentre mein ravivar ko Lorraine Music Academy aur se Nepal ke bhukamp peedith ke liye raahat rashi ikatti karne ke liye karyakram huan!